Thomas Raggio is noted for his exceptional rapport with clients and diplomatic negotiating skills, as well as his gentlemanly but shrewd approach to such family law matters as divorce, child custody, divorce involving a family business or business assets, and modifications to divorce decrees. 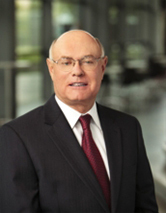 A past chairman of the Family Law Section of the Dallas Bar, Tom has been selected by his peers for inclusion in The Best Lawyers in America (American Legal Media) from 2001 – 2016 and also featured in D Magazine as one of the Best Lawyers in Dallas in its biennial listings in 2003, 2005, 2007 and 2009. He has been selected as a 2003 – 2015 Texas Super Lawyer (Thomson Reuters). He has been a Master in the Annette Stewart American Inns of Court.